The house features five bedrooms plus four extra bonus sleeping spaces and sleeper sofas/air mattresses. The house sleep up to 22 people in beds, with up to 30 using the two sleeper sofas and four queen size air mattrasses we provide. This bedroom features a King size bed & has a full bath ensuite. It has it’s own flat screen tv with cable and Netflix. Yes, we provide our guests with a free Netflix account to use during the stay! This room has two USB power outlet, one on each side of the king bed. Each of the two power outlets has (in addition to the regular outlets) two 4 Amp USB connections so you don’t have to bring USB chargers for all your devices. Just bring cables, or borrow one from the drawer in the kitchen. This bedroom is equipped with one full-over-full bunk bed and one twin-over-full-futon bunk bed and can sleep up to 7 people. There are 2 USB connections for charging in this room. The room has access to the bathroom/shower in the hallway on the main floor. This is a favorite room of many of our visitors. Not only does it have a gorgeous view of the lake, it also features walk-out access directly to the screen porch and waterfront. 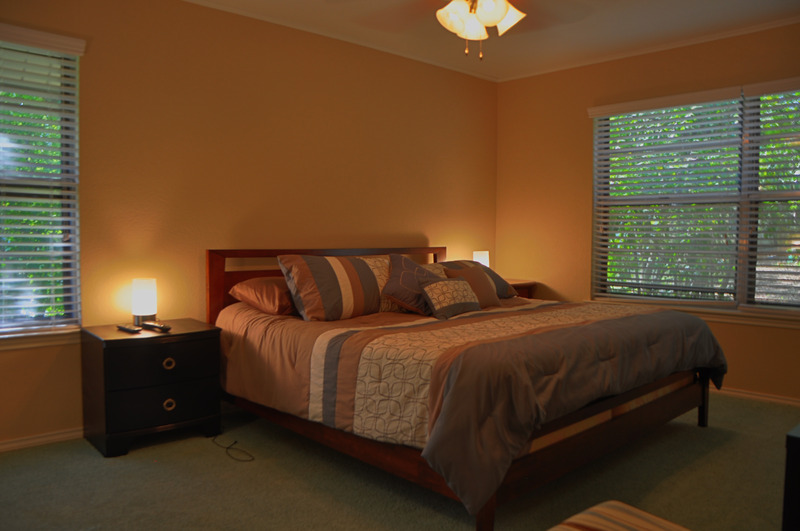 This room has supplementary heating and cooling to make sure you are always comfortable. There are 2 USB connections (one on each side of the bed) for charging in this room. There is a half bath shared with the bonus sleeping space. Shower access is available on the main floor. This is a s small room that was previously an office. It now holds a full sized bed and a half bath. Shower access is available on the main floor. 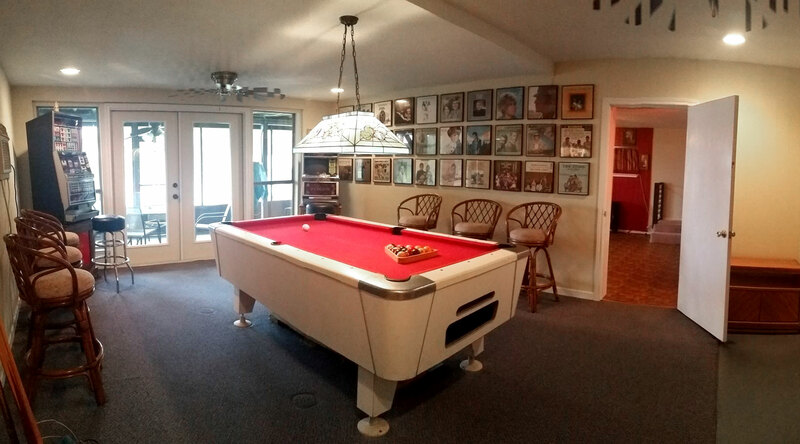 In the Game Room with the pool table we have a queen size sleeper-sofa. There is also room for at least one air mattress here. 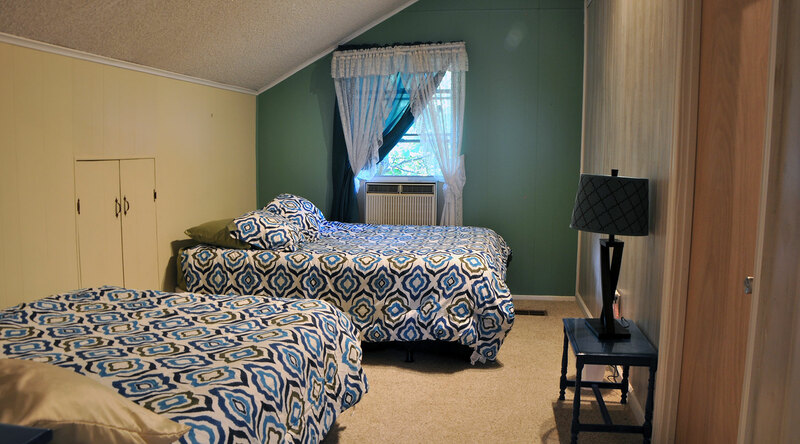 The larger of the two upstairs bedrooms has a full size bed and a queen size bed. It shares a full bathroom with Bedroom #5. It is independently cooled and (when needed) heated through it’s own window unit. 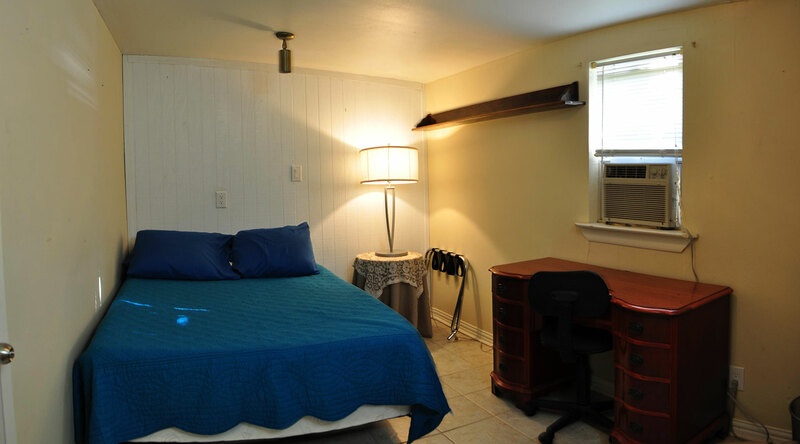 The smaller of the two upstairs bedrooms has a queen size bed and shares a bathroom with Bedroom #4. It has it’s own cooling and heating as well. 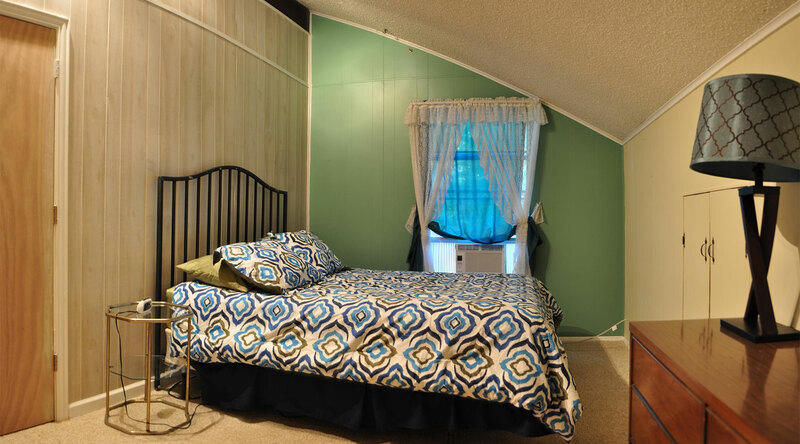 The loft above the living room has a wonderful water view, a twin bed and twin trundle bed. 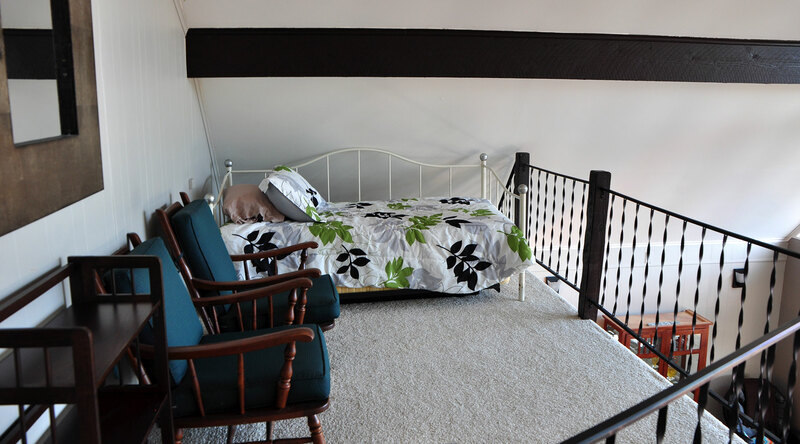 There is also a comfortable viewing area on the loft to watch the sunrise. 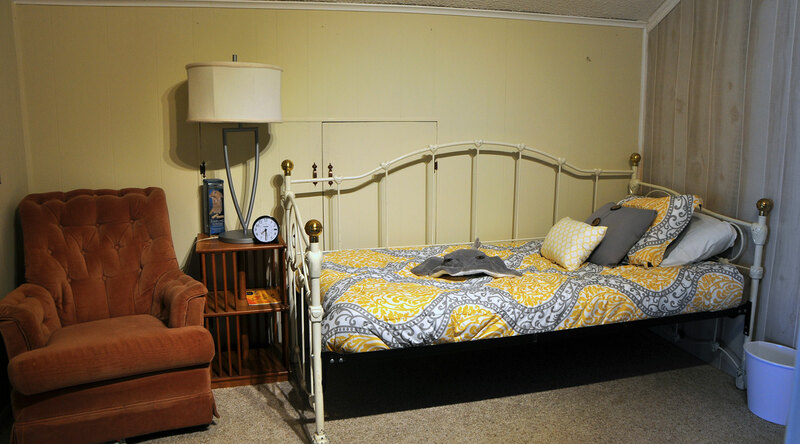 In the TV room there is a twin size daybed that can be used for sleeping.